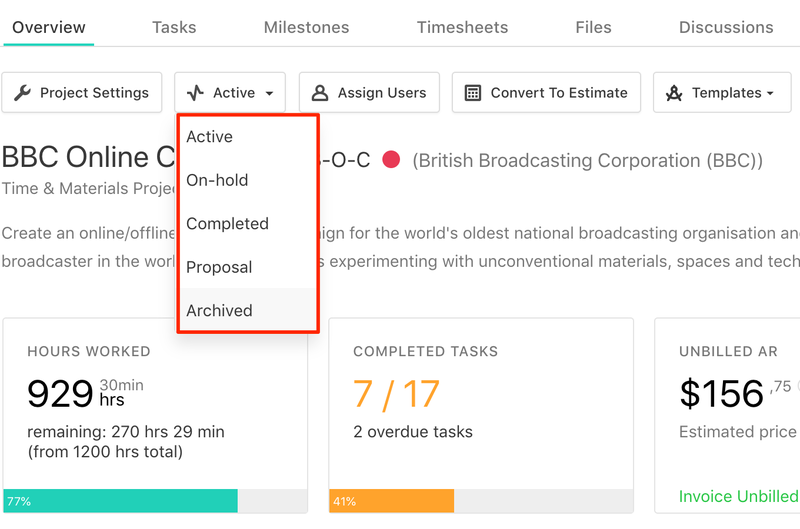 In order to archive a project you need to go to Projects → select a project → archive. When you archive a project you keep its data but declutter your projects list. You can select to display archived/active projects based on your needs by using the Show icon (eye icon).